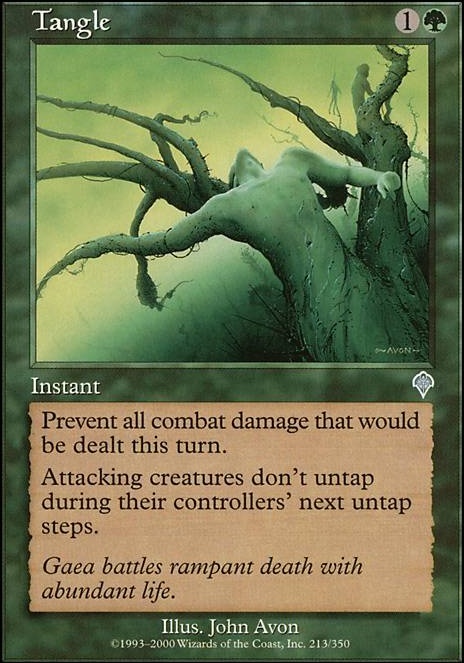 Each attacking creature doesn't untap during its controller's next untap step. Didn't realize that Tangle is not modern legal. Modified to play a tournament with friends. Added a bit more of defence mecanisms like Fog , Tangle and Naturalize . +1, insanely powerful Elf deck, especially for pauper, no jank deck stands a chance at this. zerowner, I forgot to update that card. 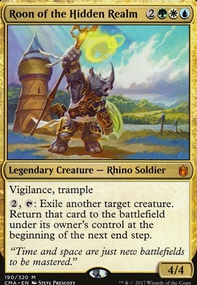 I did switch out Call the Gatewatch for Deploy the Gatewatch when I went from my Walker/Infect version of this deck. I'll update the deck list in a sec. And no Oath of Jace because I completely forgot about it when making this a true superfriends deck. So thanks for the reminder on that!!! I don't have any flip walkers because I don't currently own any. I built this deck with cards from decks I no longer use. 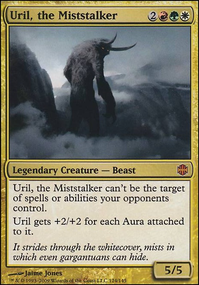 I plan on selling my Urzatron cause Karn Liberated and Ugin, the Spirit Dragon are crazy right now, so I'll look into getting a bunch of cards for this and my The Ur-Dragon deck. I've never really had a game where I haven't gotten color spread by turn 3 or 4, so color fixing has never been an issue thus far. Though it could use the mana ramp for speeding it up a little bit. 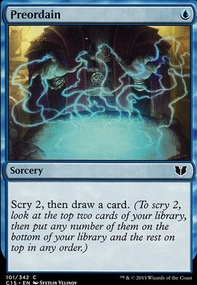 I thought about running the moxes like Mox Sapphire etc but apparently they are banned, which makes no sense since they are legal in Tiny Leaders. 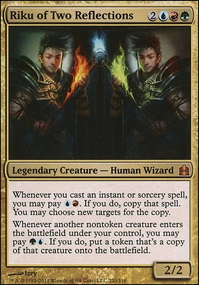 I do have Teferi's Protection in right now which is the best fog effect out right now, especially for multiplayer games. I just don't have much space left. If I pull out the 4 Praetors' and Toothy, Imaginary Friend that gives me 5 spots that I'm comfortable changing. Oath of Jace, Cultivate and Kodama's Reach take up 3 so far. So I could add an actual Fog and something like Tangle would work great. 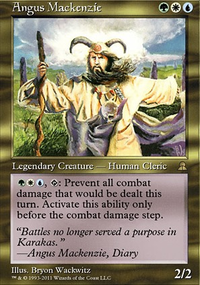 And I agree that Zur the Enchanter could be a great pick. So I'll have to mull that one over. Thanks for your input, I definitely appreciate it. @Nominae Winds of Qal Sisma is already in there. 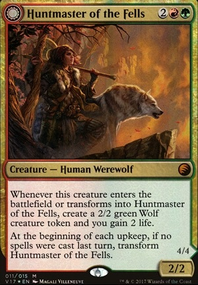 Nylea, God of the Hunt Is pretty damn good with all the beaters in the deck. 6/6 and being indistructable herself is damn fine for only . Tangle looks pretty damn strong as well. And I'd def replace Winds of Qal Sisma for it just have to hope I can find it somewhere. Too bad Dolmen Gate is outside of our budget rules. I'd have included it for sure else. But I'm most of all looking for political interaction for this deck. Instead of sitting in my lil corner crafting a win as I do with all my other decks I want this one to be as interactive as possible for the whole table. NV_1980 Oh wow I really like the idea of Scab-Clan Mauler for when I just have to be faster. 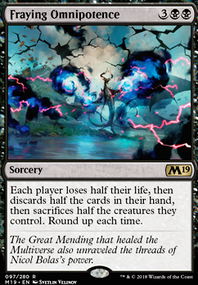 Definitely will make it in my sideboard over Pulse of Murasa, considering the full 4 over Tangle as well! Thanks so much for the kind words and the great suggestion!